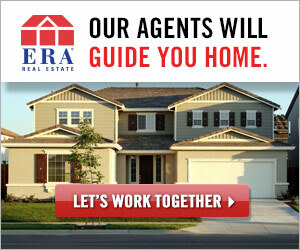 When it comes to buying or selling a property, you should always work together with a good realtor. You may have a friend or relative who works in real estate, but before you automatically turn to them, you will need to think whether they truly are the best for you. Let’s take a look at the two most important things you need to know about when you choose a realtor. You should always ask others for recommendations. However, do make sure you look deeper as well. Make sure you do your research therefore. Your realtor should also be experienced in your needs. If you want to purchase a condo, there is no point going to someone that specializes in luxury mansions. Always take the time to actually speak in person to a realtor you may choose. Ask anything that is relevant, such as how they will represent you, what they can do for your, what experience they have, how much they cost and so on. Also discuss your expectations with your realtor. It is important that they understand your needs. Last but not least, make sure that your realtor is someone you like. You cannot trust someone you don’t like, after all. Last but not least, try to work with the realtor with the most experience. It is nice to help people who are just starting, but considering the thousands of dollars involved in realty, you want someone who is able to handle that properly. You must also avoid a few things. Don’t work with someone with whom you are friends or to whom you are related. This would represent a huge conflict of interest and it could also mean that you struggle to be honest with each other. Furthermore, if you find that the result is not entirely to your satisfaction, you could place your relationship in jeopardy. Don’t work with a realtor who has dual responsibility, meaning they represent both you and the other party. Also, if things don’t go the way you want them to, then don’t be afraid to go elsewhere. Of course, do make sure you do this respectfully. Don’t tell your realtors that you will definitely sign up with them unless you actually intend to do so. You need to be honest with them and tell them at which stage you are. After all, you expect honesty from your realtor as well. It is hoped that you can use the above information to find the right realtor for your needs. A realtor’s job is to help you find your dream home. Make sure, therefore, you pick someone that you can trust in that job.